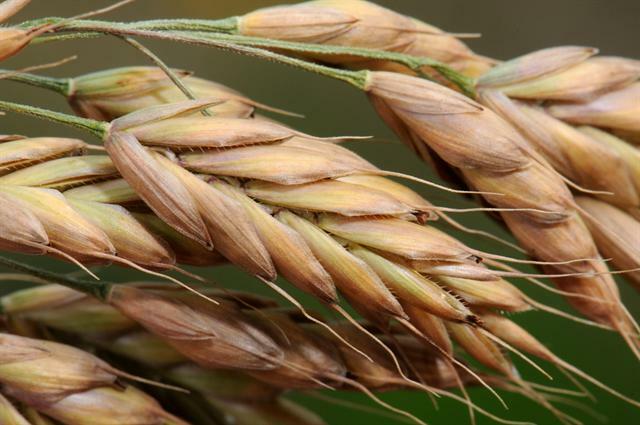 Bromus secalinus spikelets. SIENet. creativecommons.org (Accessed 11/2017). Bromus secalinus is an annual C3 grass (Williams et al. 2011), 30 cm to 1.2 m tall; stems sometimes hairy below nodes; upper sheaths with conspicuous veins, lower sheaths sometimes hairy, ligule 0.1-0.3 cm. 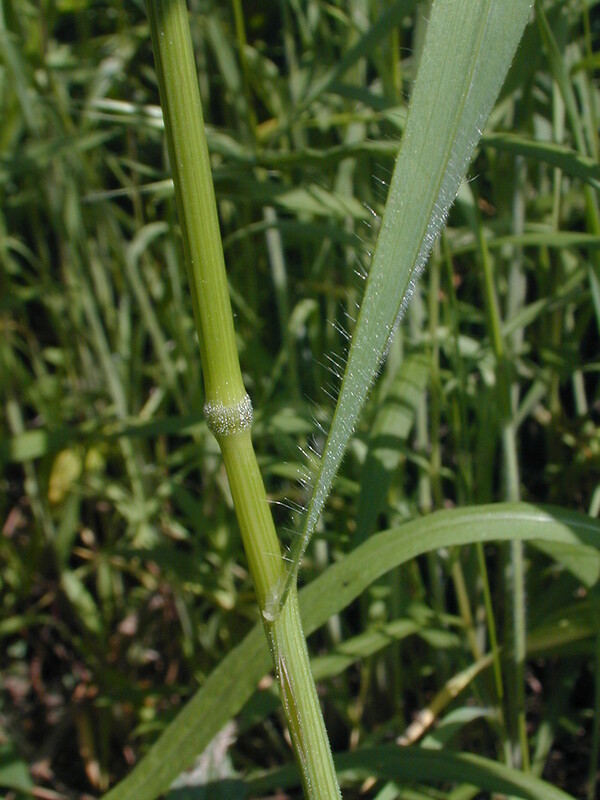 Bromus secalinus stem and leaf. Copyright © 2017 John Hilty. illinoiswildflowers.info. New England Wild Flower Society. gobotany.newenglandwild.org (Accessed 11/2017). Leaves alternate, blade 0.3-0.8 cm wide, rough above, often finely hairy. 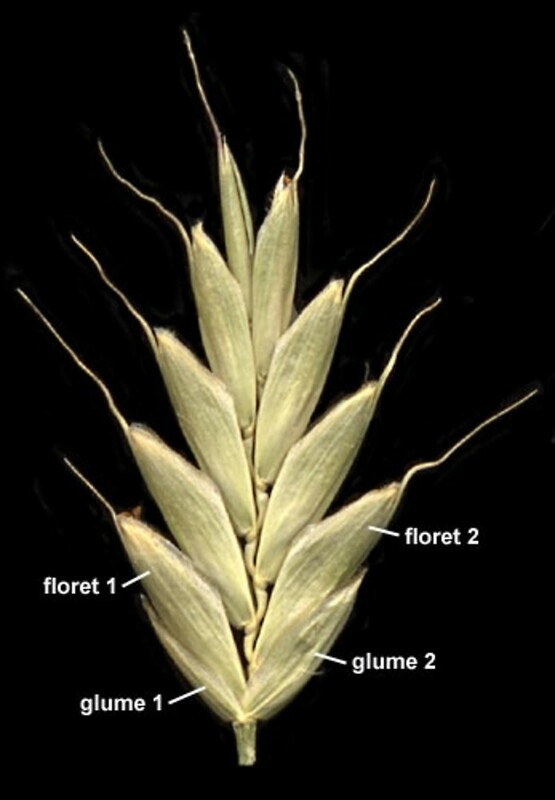 Flower spikelets 1-2.5 cm drooping 6-12 flowered; glumes slightly unequal, the second to 0.8 cm; lemma 0.6-0.9 cm, awn to 0.6 cm or none, apical teeth broad, margins of lemmas curling inward forcing florets apart and exposing axis; inflorescence open, loose 7-15 cm long, branches mostly longer than spikelets; blooming and fruiting June-Sept.
Bromus secalinus spikelet labeled. By Anna Gardner. Copyright © 2017. Ada Hayden Herbarium – Iowa State U. New England Wild Flower Society. gobotany.newenglandwild.org (Accessed 11/2017).